Technology is increasingly present in the cities, and their services more interconnected between them, is what is known as Smart City. The car park sector doesn’t escape of it. 3SCPark is the evolution of smart parking, a smart city system in which all on-street parking and off-street services of the city are connected to, designed to provide all services seamlessly. 3SCPark is a Big Data that allows connected systems to share data and link services to facilitate the mobility of citizens. 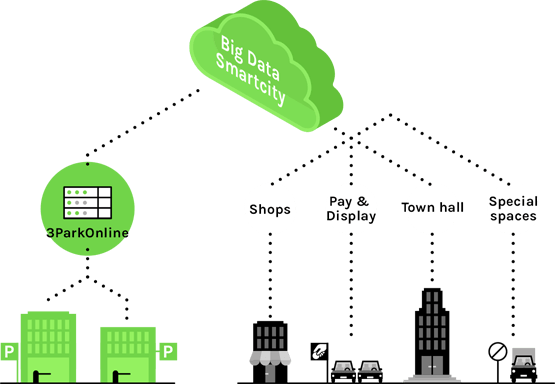 All parking systems of the city and other related services are integrated in the Big Data, providing and obtaining information. They mutual benefit and facilitates mobility to citizens. A centralized system that integrates all services that an intelligent parking needs. It allows to control everything from a single location, and includes an app where users can book parking space, pay and access. 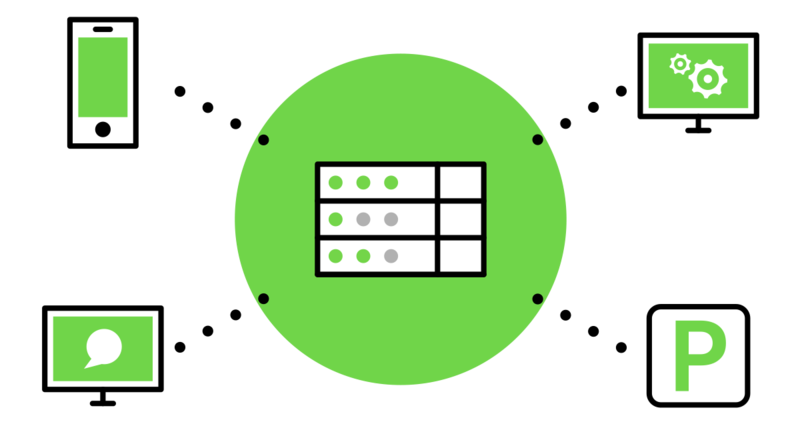 Pay and display areas or businesses are connected to 3SCPark Big Data, allowing to link different services. For example, it is possible to reroute users of pay and display areas to near parking lots. A comprehensive solution for parking lots that allows to unify multiple services into one, all of them connected to each other. From the control center, to the parking equipment, mobile application or website, all are natively integrated into the system, offering a centralized management. This unified technology is connected to the 3SCPark’s Big Data to report the occupancy level, rates or location of car parks, encouraging smart mobility in the city and the smart parking. Your customers can find your car parks, open the barrier and pay the stay, all from their mobile. Publish offers of your car parks and allow users to reserve spaces. Through it you can carry out online marketing actions. You can control and manage all the infrastructure of your parking lots. The centralized system can integrate more than a car park, managing and controlling them all together. 3SCPark is one step closer to the connected cities. The future of smart parking starts now. Parking systems connected to 3SCPark’s Big Data and other systems related offer cross services between them, encouraging the smart parking in the city. If a pay and display area is full or the user wants to exceed the allowed parking time, the Smart City can redrive to nearby parking lots connected to the system as an alternative parking. Making agreements with different stores, they can give to the customers parking time in the car park. Businesses will have an exclusive app connected to the system with can apply discounts.